Garrison Keillor will be bringing his prairie dog and pony show back to the Town Hall in the Spring of 2010, no word yet on who the performers will be, but tickets go on PHC presale today (Jan 26) starting at 1 PM. Description: There will be three live broadcast performances of A Prairie Home Companion at The Town Hall this spring, April 24, May 1 and May 8, at 5:45pm. A portion of the available tickets will be on sale beginning Tuesday, January 26 @ 1pm through Friday, January 29 at 6pm ET. 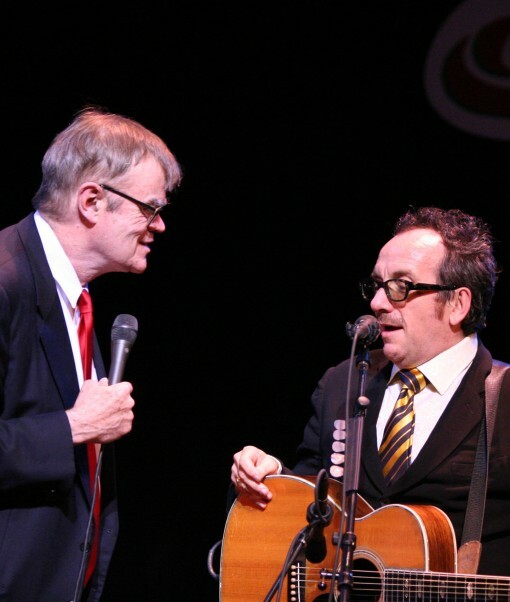 In other PHC news, you can also buy tickets to the Feb 4 live HD broadcast of A Prairie Home Companion from the Fitzgerald Theater in St. Paul, Minnesota, featuring special guests Elvis Costello, Robin and Linda Williams, Jearlyn and Jevetta Steele, and Heather Masse.